Music Plus in Collaboration with Iyanya (Kukere Master) is giving 2 People an opportunity to Win an All expense trip to Calabar Carnival. 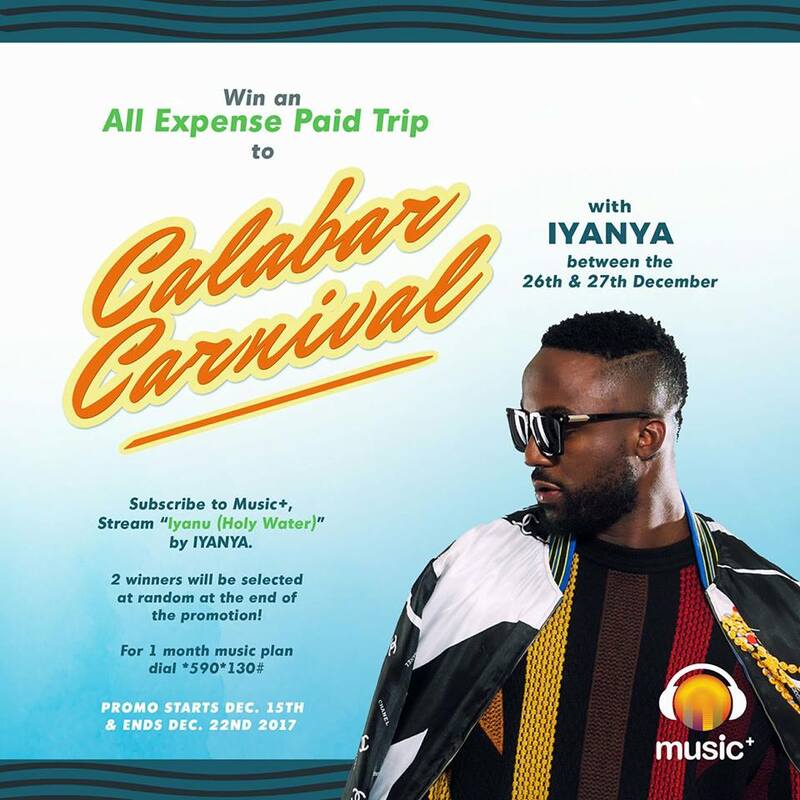 Simply dial *590*130# now to subscribe to the monthly music plan and stream #IYANU by @iyanya to qualify. 2 Winners will be selected at random at the end of the Promo. Promo runs from 15th December Until 22nd December, 2017.